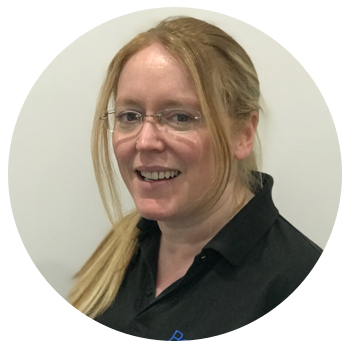 Dawn qualified as a physiotherapist at the University of East London in 1995 before going on to specialise in the treatment of musculoskeletal conditions. Her role as a senior physio has taken her across the UK, working mostly in NHS and clinical settings ranging from regular consultant and GP-referred work to A&E, sports injury clinics, trauma rehabilitation, rheumatology and the management of long-term conditions. Since returning to Kent in 20XX she’s worked as a senior clinician in the NHS, alongside her Bodysym role. The longer she works, the more Dawn sees the importance of identifying and dealing with the underlying cause of a problem. She helps people change the way they use their bodies so they can reduce, relieve and prevent symptoms. Her approach involves a mixture of manual therapies for joint and soft tissue treatment and pain relief techniques such as acupuncture. She tops it off with lots of advice to help her clients feel better – quickly.